Mechanic Girls: Geneva Motor Show: Jeep bringing pair of black and white "production-intent"
Geneva Motor Show: Jeep bringing pair of black and white "production-intent"
We may think of Jeep as an American brand – and indeed it is – but of all the Chrysler divisions that have come and gone over the years, Jeep is arguably the best established. So when the doors open in a couple of weeks at the Geneva Motor Show, the iconic off-road brand will have a few new model variants to show potential European customers. First up is the unique Grand Cherokee pictured above. 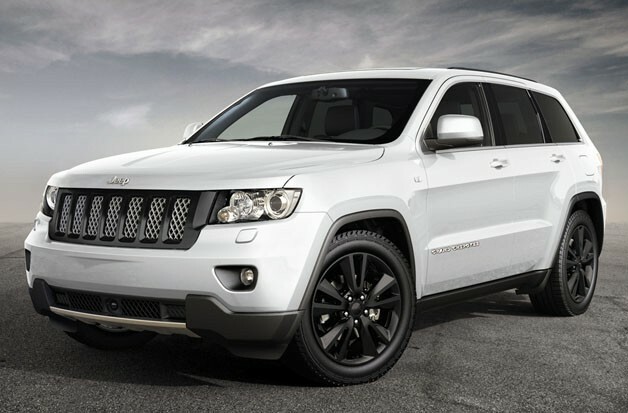 Labeled a "production-intent sports concept," it's similar to the black example released in Houston and Washington late last month, but instead of the Darth Vader look, Jeep has taken more of a Storm Trooper approach with the European version, and also fitted it with the 3.0-liter common-rail diesel V6 with Multijet II technology borrowed from corporate cousin Fiat. 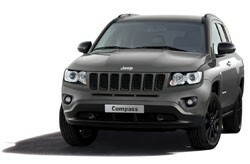 The murdered-out look is reserved here for the special Compass, also dubbed "production-intent." With the grille, lighting surrounds, roof rails and 18-inch wheels all blacked out, the smaller of Jeeps has a sinister look. Finally, Jeep is using the occasion of the Swiss expo for the European launch of the Wrangler Mountain edition, which mirrors the version already available Stateside with a black hood and fuel cap, dark grey wheels and grille and five color choices including the bright green pictured. Follow the jump for full details and scope out the high-res images in the gallery for a closer look.